Gas grills are a popular product, with many people keeping a propane grill in their backyard or on their balcony in order to enjoy those grill-cooked receipes. Unfortunately, gas grills are not always a harmless household product for making a quick meal. In some tragic cases, gas grills can cause horrific injury or even death. 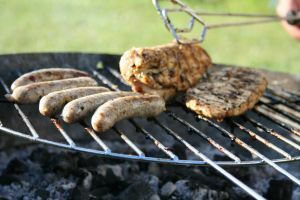 One recent incident involving a high profile celebrity brought the dangers of gas grills to widespread public attention. The incident involved ESPN anchor Hannah Storm, who suffered first and second degree burns after her propane grill caused an explosion. Our Boston injury attorneys urge everyone to pay attention to this accident and to consider it a wake-up call about the potential danger their grill might present to them. Grilling accidents happen every year, with the National Fire Protection Association reporting that as many as 6,900 home fires occurred between 2005 to 2009 because of a gas grill. Although the accidents are common, they often don’t make major headlines and they may go unnoticed by homeowners who assume their backyard barbeques are relatively safe. Storm was cooking dinner when she noticed that her grill had stopped working. When Storm relit the grill, it did not simply ignite but instead erupted into a massive explosion and ball of fire. The explosion was so loud the neighbor said it sounded like a tree falling on the house and the explosion was so powerful it blew the doors right off of the grill. It also set Storm’s shirt on fire, causing second degree burns on her chest area. The fire had exploded in her face, so she also suffered injuries to her face as well including first degree burns on her face and neck and the loss of her eyebrows and half her hair. Fortunately, Storm has been able to make an effective recovery from the explosion, despite the serious injuries she suffered. Yahoo Sports provided photographs of those injuries, which show how badly burned Storm was by the fire from the grill. Fortunately, Storm was able to recover relatively quickly. The accident happened in December and she was hosting the Rose Parade on New Years Day. Storm’s speedy return to television was possible only because the burns she suffered were not as severe as they could have been. Burns are divided into degrees, with first degree burns impacting only the outer layer of skin and second degree burns penetrating only through the second layer of the skin. In the event of a third or fourth degree burn, which are also very real possibilities if a propane grill explodes, the injuries and damage can be much more harmful. Third degree burns involve all of the skin’s layers as well as some tissue damage while fourth degree burns damage muscle, ligaments and tendon and are often fatal. Explosions and resulting burns can occur due to a design defect in the grill, a malfunction in the grill, or a problem with the propane tank used to supply the grill. In any case, second and third degree burns could require skin grafting and other expensive treatment. The manufacturer or distributor of the defective grill or of the defective propane tank can potentially be held accountable and made to pay for damages. If you or a loved one has suffered an injury due to a defective product in the Greater Boston area, contact the personal injury attorneys at the Law Offices of Jeffrey S. Glassman, LLC for a free consultation to discuss your claim. Call 1-877-617-5333.